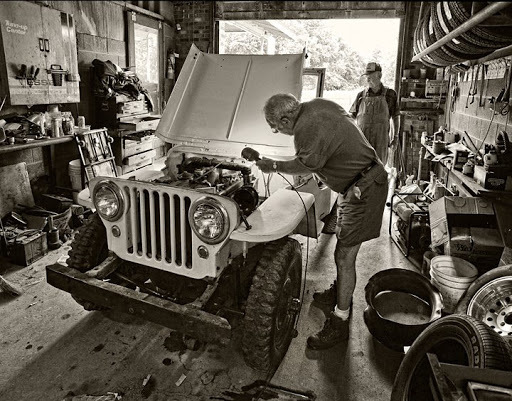 Odell Routh of Lineberry, North Carolina, south of Greensboro works on replacing the brake master cylinder of his 1946 Willys CJ2A Jeep in his garage at Routh Oil Co.. 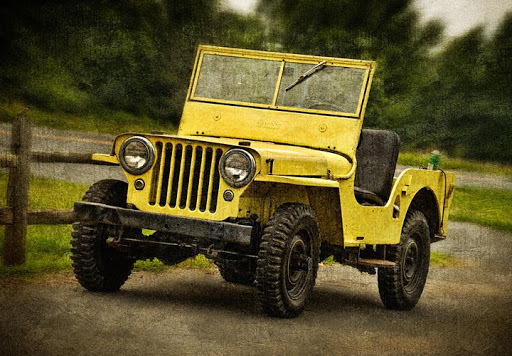 The vehicle is actually an “Agri-Jeep”, a post war, civilian model of the famous World War II military vehicle. 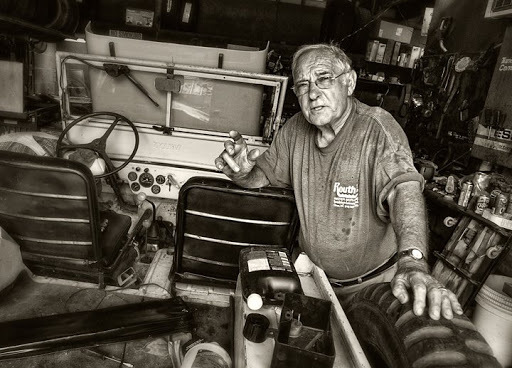 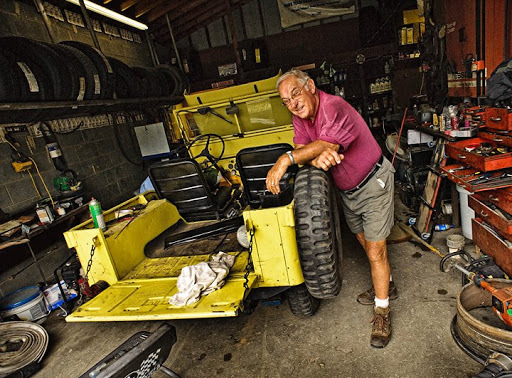 Odell has long been a vehicle restorer, and currently has several he has restored and is working on, including another Willys, a 1948 four wheel drive pickup.